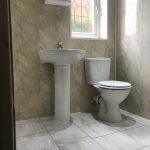 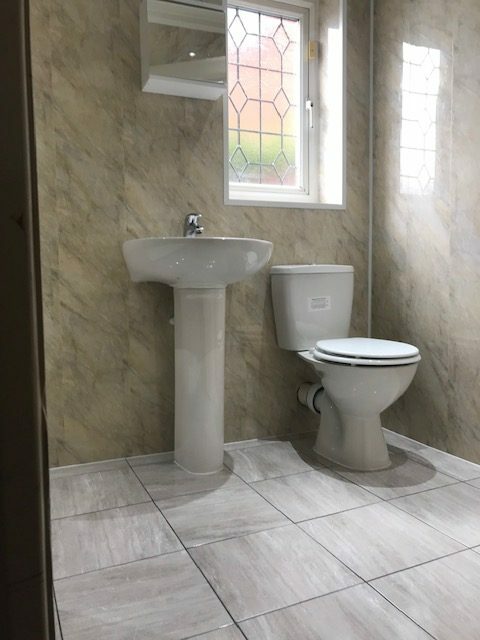 We have been busy in Hyde this week renovating a bathroom. 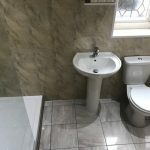 We removed the bath & suite and replaced them with a low level walk-in shower, new toilet and new sink. 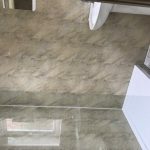 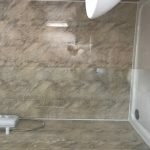 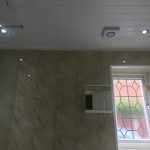 We clad the walls and ceiling in bathroom cladding and we tiled the floor to complete the job.